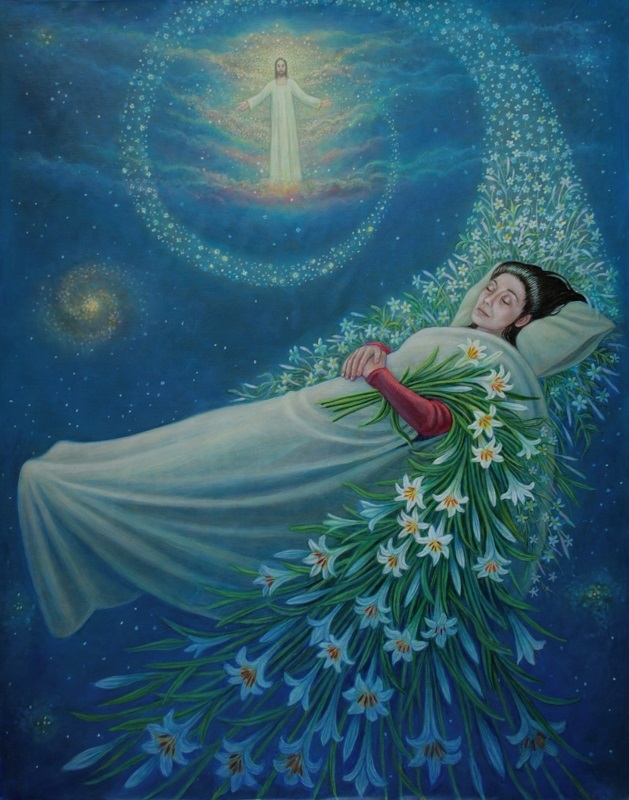 This painting shows the body of Mary drawn up into heaven to be reunited with her Son. Her life was of such grace and suffering that she was purified by it to the extent that she was drawn up to a higher realm. It could be said that she was the prototype for all human beings who thirst for a higher level of being.